I am writing to you today to ask your assistance in righting an egregious wrong, which has been foisted on an innocent population for decades — nay, centuries. It's time to set the record straight. I refer to a diverse citizenry of animals, insects and harder-to-define critters, who have been Framed for Murder!!! Yes, the murder of the food-bearing and ornamental plants that we are sworn to protect. Plants we raised since sprout-hood. Plants that are a major source of our personal pride. Maybe too much so. Or, we just don't like outside intruders, especially if they might bite us. Besides, they're creepy-icky-ugly. 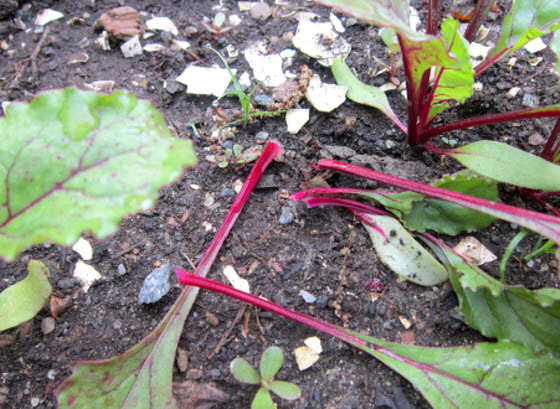 We see damaged plants and we see something crawling on or around it and we say, "Aha! I've caught the perpetrator red-handed (or red-clawed or whatever). Off to Swansons to procure the proper product for administering Swift and Terrible Justice!" There are many benign or even beneficial organisms, which we mistakenly accuse of harming our plants. Sometimes we do need to take quick, lethal action to keep a few munching insects from becoming an infestation. But there are consequences to knee-jerk reaction. We need to be educated and careful — "good" and "bad" organisms may not be so easily defined. 1) Some of the accused are feeding on something other than our plants, such as cases of beneficial predators hunting the true villains, or decomposers, cleaning up dead or dying material. We might see these helpers when we happen to notice damage so, naturally, suspect them of causing it. 2) Some cause problems only if there are too many of them around — kind of like cats or teenagers in our house. But in moderate numbers, they can enhance our lives. Let's call them benign feeders. Okay, that label might exclude teenagers. Everybody loves the ladybug (or lady beetle) and most are aware of its reputation as a beneficial insect — devouring aphids and other unwanted insects in the garden. We may be less familiar with the ladybug's larval stage, which does a lot of the beneficial devouring. The larvae resemble tiny, red and black alligators! Many gardeners see these active little guys all over their plants and fear the worst. Really, they're your friends — as long as you are not an aphid. Not all wasps are to be feared! There are many species of tiny, parasitoid wasps too small to notice and uninterested in stinging us mammals. Their goal in life is to land on aphids, caterpillars or other hapless insects, and inject their own eggs inside said victim, and... you can guess the rest of the story. Don't think of the movie Alien. Every year we are asked to identify tiny, bloated, metallic-colored bugs on a plant. Often, they are aphid "mummies," hosting wasp larvae, or vacated after the latter have left. Parasitic wasps are considered among the organic gardener's best friends — prolific (even if their work is not conspicuous) and particularly sensitive to chemical insecticides. Centipedes (one pair of legs per segment) are predators to a variety of insects and spiders. Humans sometimes fear them for their bite, similar to a spider or bee sting, but their role in the garden is beneficial. They don't eat plants, period. Annoying in the garden? Perhaps, but sweep them out of the way if there are too many and allow the rest to do their helpful work. Pest predators, seed dispensers, pollinators, soil aerators — ants are multi-taskers in the garden. You know their work ethic. They only become a pest if they enter your house, or if their colonies grow too large. Species such as fire ants damage crops or cause other mayhem in other parts of the world, but in the Puget Sound region, ants are rarely a significant garden problem. Also called "roly-polys," these critters (actually, tiny crustaceans) sometimes "clean up the crime scene" after cutworms or other perps have chewed and left plant parts strewn about. Pillbugs may also be found in or under pots or structures where rotting material is building up, so they might be mistakenly blamed for doing the damage. When a plant is struggling for any reason, there is dead and rotting material, so you will likely find pillbugs. Sometimes these creatures do feed on young, succulent plants, so you might need to protect those until they grow stronger. But usually, pillbugs are not to blame for the damage, just doing their unpleasant (to us) follow-up. They can, however, be an indicator that moisture and rot are present, so find out if it's natural composting process in the soil, or a plant or wood structure going bad. Millipedes (two pair of legs per segment, vs. centipedes' one pair) often hang out with pillbugs, also indicating an excess of moisture and rotting material. Clean up your dark and moist corners, and the millipedes and pillbugs won't take over. Since we know of fungal diseases that can hurt plants, we might react to the sight of weird mushrooms growing on our soil or near our plants. Mushrooms (one type of fruiting bodies of fungus) grow on decomposing organic matter (typically woody), rather than living plant tissue. So you might see these bodies growing on a dead branch or trunk section of a tree or shrub, while the rest of the plant is healthy. They can give early warning that the plant is losing branches, but that may or may not be serious. In any case, the fungus you see is probably not what's hurting the plant. Also, it's common for mulching materials to sprout fungus, especially on woody pieces and especially in the fall. So the fungus you see near your plant may actually be growing on the mulch. Many humans (certain gardeners, anyway) want to kill caterpillars. Nobody wants to harm butterflies. Inconvenient fact: you can't have butterflies without caterpillars. So controlling caterpillar damage requires some knowledge of the species caught in the act, and some decision of how much damage is too much. If they're defoliating the plant, you might have to take drastic action for now, although healthy plants can often survive major damage - yes, even from tent caterpillars. If it's just a few leaves affected, you can prune off the worst looking ones, and if the damage doesn't spread, thank the butterflies and moths later. This unique species takes semi-circular pieces out of leaves of roses, maples, or other leaves in summer to create nesting material for their young. They rarely cut enough to defoliate the plant but it may be somewhat unsightly and startling when we don't initially know what's going on. Best to pull off the worst leaves and let the bees be. They are efficient pollinators, as are most bees. Here we are in somewhat shadowy territory, along with the earwigs themselves. They are omnivores — primarily beneficial predators and decomposers but also known to go after young plants, flowers or fruit, particularly ones that offer cozy hiding places. Bending down close to smell a rose flower and having an earwig suddenly pop out of it is a traumatic surprise. Control their numbers if necessary by setting ground traps, such as rolled up paper or flat boards, where they might hide during the day. 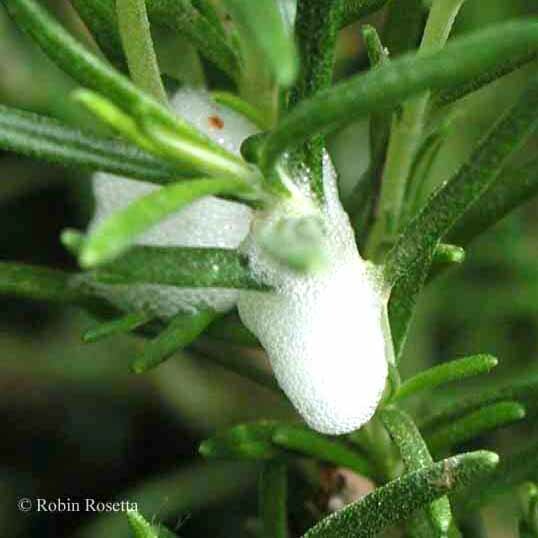 Similar to the notorious aphid, climbing on and sucking the juices from tender plants in the summer, these bugs secrete what looks like bubbly saliva to protect themselves. It's rather unsightly and spittlebugs can damage the plants, but unlike aphids, they rarely grow in population to the point of doing major harm. Anyway, they're easy to control by simply washing off the plants with a blast from the hose, same as our first response to aphids. Moles earn their "Wanted" poster by tunneling and mounding, most conspicuously in lawns. In the rest of the garden, they can be a nuisance, sometimes feeding on roots, bulbs or vegetables. But while they are serving beneficial predator duties — hunting insects, larvae and slugs — their tunneling can greatly improve soil aeration and drainage. If they are affecting your lawn, or their benefits in the garden don't quite move you to a spirit of tolerance, there are a number of strategies to consider. Here is a comprehensive guide to managing moles in our region. At Swansons, we carry a wide range of (mostly organic) pest remedies to administer that aforementioned "Justice" and we can help you find the right one. We stress the importance of the right solution for the right pest at the right time, not just spraying something that may harm the whole system. We strive to follow the principles of integrated pest management, or IPM, a common-sense approach, which includes the importance of getting the diagnosis right. Let us help you find the real culprits and exonerate the innocents. That's one way to a healthier, more resilient garden community! Bring in a sample or snap a pic to show us on social media! You can post your pic and/or questions on Facebook, Twitter, and Instagram with the hashtag #heyswansons and we'll help. Check out this post on controlling pests, by Swansons' Kathy Boullin. There are also additional websites with a depth of information and perspective on managing garden pests & diseases, and visiting critters in Washington. Older PostMeet Swansons' Container Design Team!